David Morales took a longer route to his Assistant General Manager position than many others have. Born in Mexico, David was brought to Los Angeles as a child, then moved to Madison. "I went to many schools during my childhood, but I graduated from Madison East, says David. "After that I went to (Madison College) and got an Associate's degree in Automotive Technology. I worked in many types of positions: from cleaning offices and stadiums, to factory worker and supervisor, to working in warehouses, offices, and many restaurants." "My dad was a line cook and he brought me to Hubbard Avenue Diner," says David. "I've been here ever since." After starting as a counter/busser, David moved to shift manager, then server, before being promoted to Assistant General Manager. He loves restaurant life because "you meet a diversity of people, and everyday you meet someone different," says David. 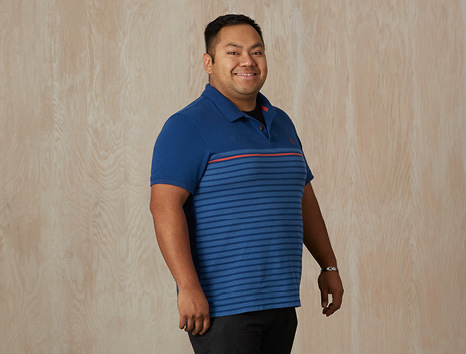 When he's not working, David likes to "play soccer, party, and most of all be with my family and travel to different places every time," he says, quipping that he's trying "to conquer the world!"